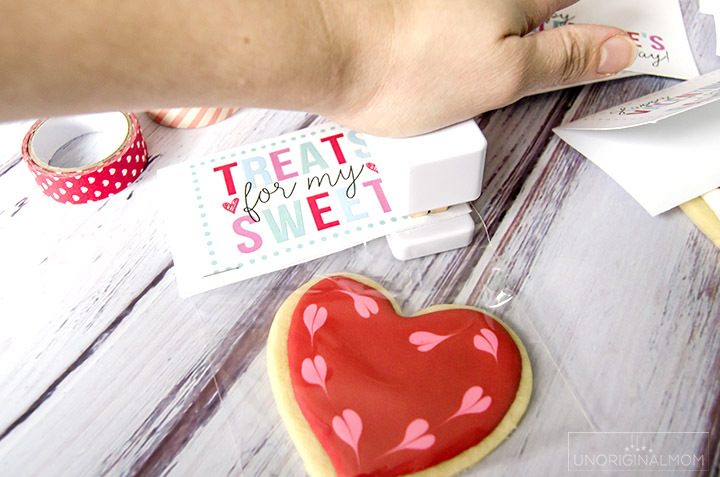 I went to a cookie decorating class back in November taught by the fabulous Anne of Flour Box Bakery (you can take a virtual class from her on Craftsy here!). Of course the focus was on Christmas cookies decorating, and I put my newly-learned skills to work to make pretty decorated Christmas cookies – maybe you saw them on Instagram! 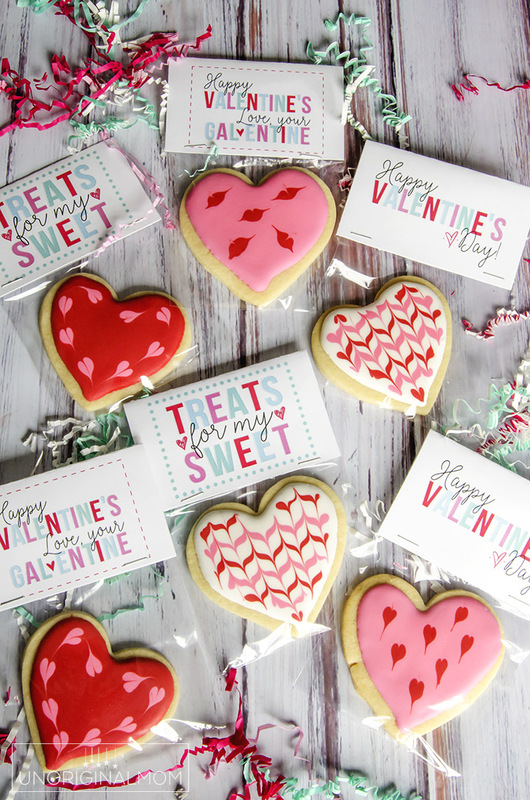 I wanted to make sure I kept practicing my cookie decorating through the year, though, so I made a batch of cookies for Valentine’s Day. You’ll be seeing more about the cookies tomorrow in another post (UPDATE – see the cookie how-to here!) 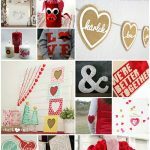 …but before I do that, I wanted to share some free Valentine’s Day treat printables with you! 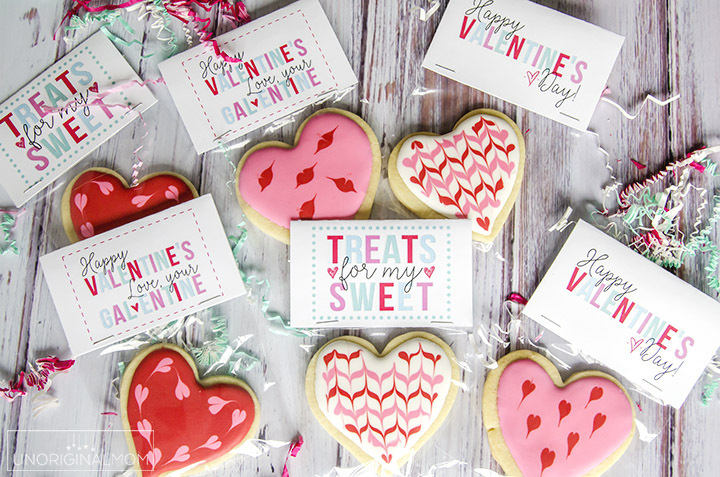 The best kind of Valentine is the edible kind. 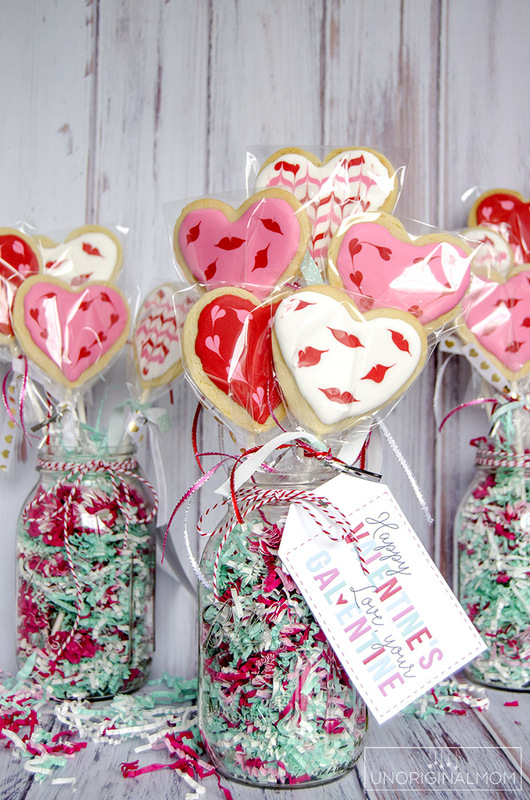 So why not whip up some yummy treat bags to give out to friends and neighbors this Valentine’s Day? They don’t have to be homemade treats, either! 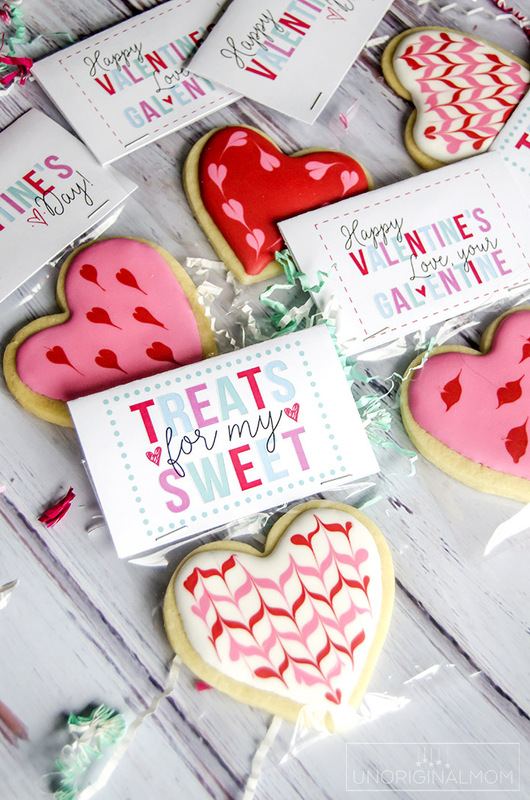 These printables are designed to go with 4×6 treat bags. You can fill them with a cookie or two, like I did, or any other kind of cookie, muffin, candy, etc. 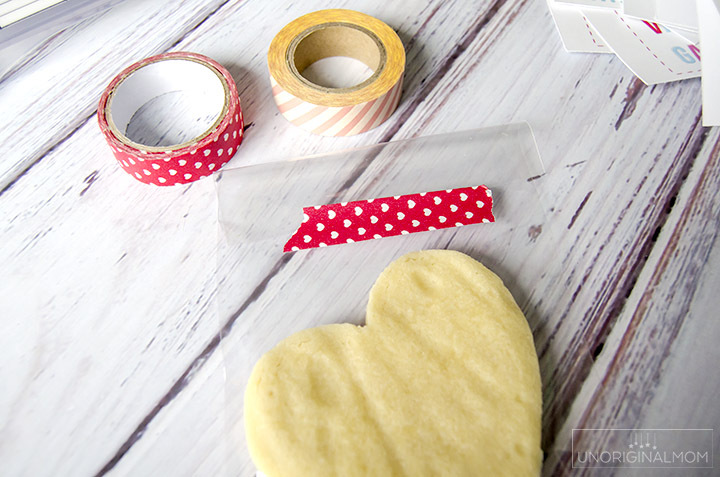 I folded the top of the bags back and taped them shut with washi tape to keep the cookies sealed and fresh. If you’re using wrapped candy, though, you wouldn’t need to do that. 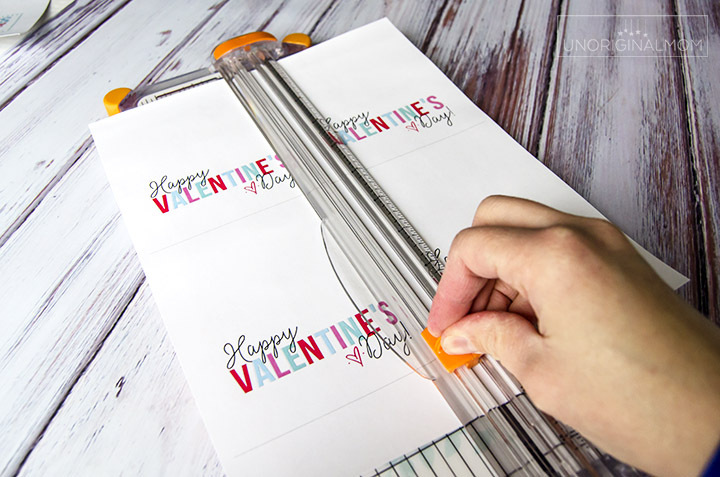 Then pick your printable and print them out (they’ve got 4 to a sheet), and use a paper trimmer or scissors to cut along the lines. 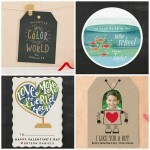 Here are the printables! They’re in PDF format, 4 to a page, and for personal use only. 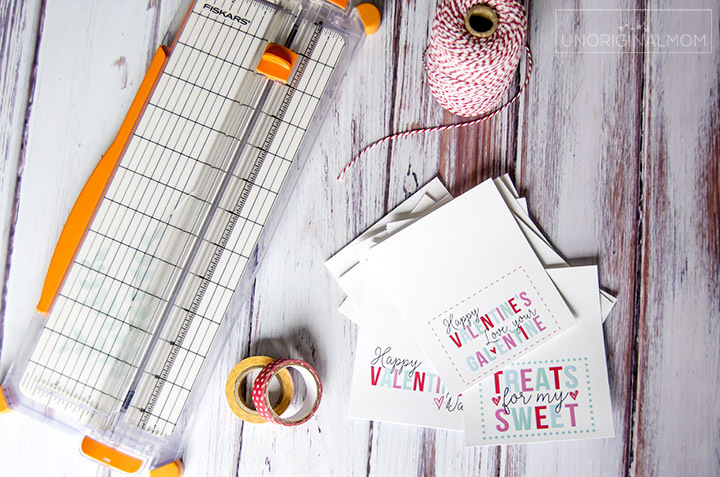 Fold each trimmed label in half, then staple them onto the top of your bags. 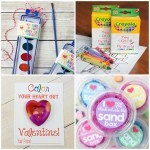 Write a personal note on the back or just a simple “to/from,” and deliver! They’re sure to bring a smile to the faces of your friends and neighbors. Want to save this idea for later? Here’s a pinnable graphic for you to use! 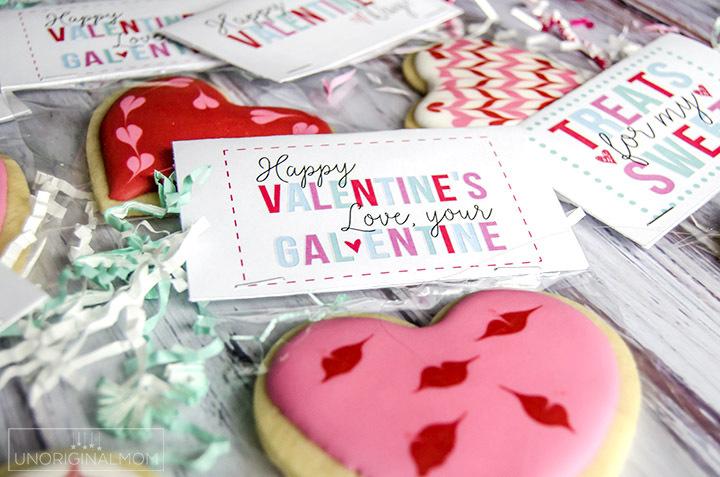 Be sure to stop by tomorrow to see more details about the cookies – how I made and decorated them, plus how I made an extra special “Gal-entine’s Day” gift out of them! 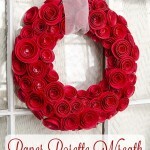 UPDATE – see my Valentine’s Day Cookie Bouquets here!